He was the pioneer of science fiction novels. His first book, Cinq Semaines en Ballon (Five Weeks in a Balloon) was published in 1963 and was the first of many adventures he wrote as part of his Les Voyages Extraordinaires collection (The Extraordinary Voyages). Other famous adventures include Vingt Mille Lieues Sous Les Mers (Twenty Thousand Leagues Under the Sea), Voyage Au Centre De La Terre (a Journey to the Center of the Earth), and Le Tour Du Monde En Quatre-vingts Jours (Around the World in Eighty Days). 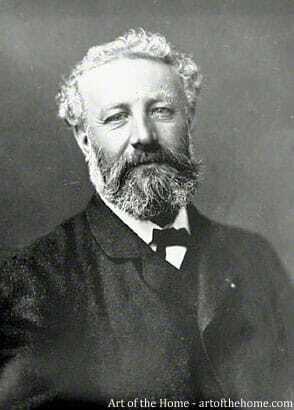 Jules Verne stories have fueled the imagination of so many children over the years and almost 2 centuries after he was born, these novels are still a classic read all over the world.